There Is More to Roofing Than Appearance. Expert Roofing Solutions So Your Home Can Function at Its Best. There’s much more to roofing than just appearance. At Xtreme Exteriors, our approach is to address roofing as a “system.” To ensure the longevity of your roof shingles, proper ventilation and attic insulation must be installed or improved upon. Proper ventilation also ensures your shingle warranty remains valid. Before starting any roofing or re-roofing project, we can carefully inspect your current roofing system and ventilation to make recommendations to improve the function and efficiency of your home. Our inspection services identify conditions that are prone to producing ice dams. If you experience ice dams, we can provide expert solutions to help minimize ice dams from forming during winter months. 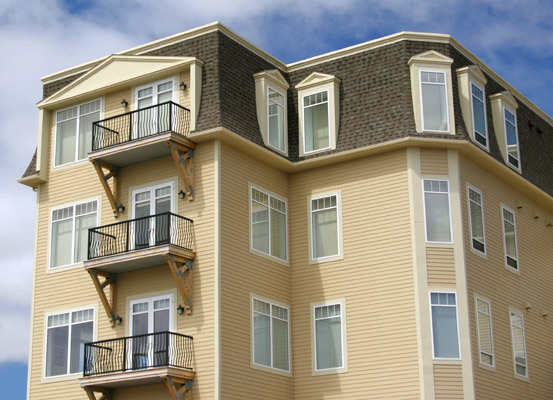 Whether your home or properties have a gable, pyramid hip, gambrel or mansard roof, we can help you select the best materials and roofing solution to match your style of home, town home, apartments or commercial building that accommodate your budget. The low downward slope of roof line visually reduces the scale of a building and helps to eliminate a boxy look. Can strengthen the design without increasing construction costs. Screens out unsightly roof penetrations or mechanical equipment. This is just one example of roofing type that Xtreme Exteriors’ has experience installing for its customers. We take care in knowing the features of various roof types to help you make informed decisions on a roofing solution that’s right for your and your home. Cedar shakes are a popular choice for mansard roofing, but for this project, an alternative shingle was applied to discourage pest infestation. At Xtreme Exteriors, we like sharing our experience with you so you can make informed decisions when it comes to your home. Have ice dams this winter and water intrusion into your home as a result? This video demonstration will illustrate how it’s possible for water to enter into your home even if your roof is new! The most commonly used underlayments and fasteners used today are not enough to eliminate the possibility of water penetrating your roofing materials. Watch this demonstration BEFORE you install a new roof. Make sure you choose a knowledgable contractor! Looking for Expert Roofing Solutions and Installation?